Home Health Services of Southeast Florida brings together essential pieces to support the changing needs of elders and their families. Our client-centered services connect you to a community of resources, expertise and skills. The combination of the elements of our services creates quality care for a quality life. As in life, each experience and memory can stand alone, but together they form strength, warmth and continuity. We are not an event but a process. We are constantly looking at what will create the highest quality of life possible for your parent or elder family member even as things change. The result is peace of mind. Whether you’re exploring care options, considering in-home care, looking for senior housing, or searching for strategies to manage challenging behaviors of dementia, we will help you make important decisions and transitions…throughout the aging process. We support families in the Palm Beach Area and at a distance through a broad range of services based on each client’s values and changing needs. 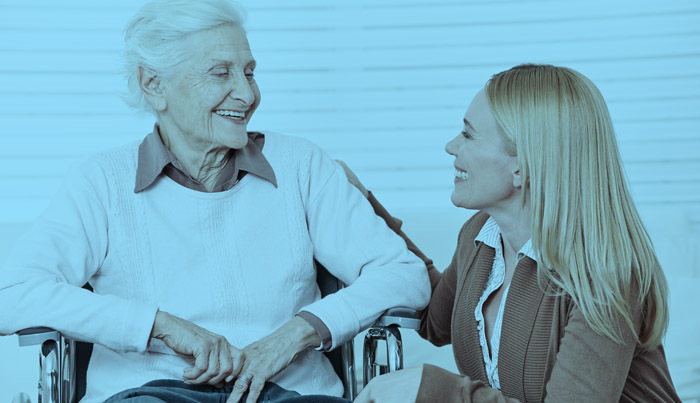 In Home Care & Companion Care – highly trained and experienced caregivers, available up to 24 hours a day.